Osmeña earlier said Mrs. Arroyo was guilty of 'serial plunder' for overpricing the billion-peso bridge program. When the Nobel Prize committee announces this year's winners of science's highest accolade, one category they'll omit will be research fraud. But were there a prize for scientific malfeasance, the top contender would doubtlessly be Japanese anesthesiologist Yoshitaka Fujii, formerly of Toho University in Tokyo. "Perhaps the greatest academic fraudster of the last 10 years," in the words of the Chronicle of Higher Education (subscription required for this article), Fujii reportedly authored (if that's the word) 193 journal articles, 172 of which investigators have declared fraudulent. This astounding figure makes him the record holder for most retractions, and "nearly doubles that of the current unofficial retraction record holder, Joachim Boldt," according to Retraction Watch. In the course of 23 years of extraordinary achievement in the realm of fraud, Fujii faked not only whole studies but even his affiliations with hospitals. He also used the names, and sometimes the forged signatures, of other researchers as co-authors on phony articles. "His work was almost a complete fiction, but he kept saying that it stood up because it had been accepted by so many journals," the Chronicle quotes Koji Sumikawa, president of Japan's Society of Anesthesiologists, as saying. Sumikawa led the investigation into Fujii's oeuvre and found that of 212 papers by Fujii, 3 were found to be solid and 172 to be fraudulent. Evidence was inconclusive for the remaining 37. How did an oil-rich region in western Kazakhstan end up with a $100-million hole in its budget? According to investigators from Astana, this giant hole in public funds in Atyrau Region was caused by massive fraud perpetrated by a man who was a member of Kazakhstan’s national parliament and who just happened to be the brother of the regional governor, acting in cahoots with corrupt officials and construction firm bosses...On October 1 charges were brought against Amanzhan Ryskali, brother of recently fired regional governor Bergey Ryskaliyev, on one count of fraud, but police are investigating a total of 13 corruption cases involving theft to the tune of 16 billion tenge (a little over $100 million). Indonesia’s official anti-corruption agency, the Corruption Eradication Commission (KPK), is walking on thin ice after taking on a top police officer, one of its biggest cases to date. Inspector General Djoko Susilo has been accused of taking massive kickbacks in the procurement of driving simulators when he headed the National Police Traffic Corps division in 2010. After defying two summonses, he showed up at the commission’s headquarters on Friday. But he is clearly not taking the corruption accusation lying down, and appears to enjoy the full backing of the police force. The police are leading a KPK-bashing campaign and have found enthusiasts amongst the powerful institutions that have felt the wrath of the anti-graft campaign, such as the House of Representatives, the major political parties, and even the office of President Susilo Bambang Yudhoyono. Insisting that they conduct their own investigation against Djoko Susilo, the police are doing all they can to frustrate the KPK’s work. Global Witness said in September that Liberia's forestry department had given out a quarter of the nation's land to logging firms over the past two years in a flurry of shady deals. Last year, the People's Bank of China mistakenly released a report on its website which was then quickly taken down. The report said that between 16,000 and 18,000 government officials and employees of state-owned enterprises had smuggled more than $120bn (£75bn) overseas between the mid-1990s and 2008. That works out to more than $6m per official. Earlier this year, Premier Wen Jiabao warned that corruption was the greatest threat to the rule of the Communist Party. The Philippines lost $2.46 billion through misuse of state funds and assets during the latter years of graft-tainted ex-president Gloria Arroyo’s rule, government auditors said...The Commission on Audit highlighted anomalies that mostly occurred in the 2007-2009 period in its investigation of more than 61,000 government agencies last year. “Most audit findings categorically indicate pecuniary loss on the part of the government, as a result of violations of law, rules and regulations,” said the report no on the COA website. More than 4,000 cases of unauthorized expenses, unaccounted for cash advances, uncollected duties, fictitious claims, missing assets, or abandoned projects, cost the government P101.82 billion ($2.46 billion), it said. The total is equivalent to 5.6 percent of the country’s budget this year. Police arrested former Philippine President Gloria Macapagal Arroyo on Thursday and temporarily detained her in a hospital on corruption charges, in her third indictment and second detention since stepping down two years ago. The Philippine anti-graft court ordered her arrest for allegedly misusing $8.8 million in state lottery funds during her last years in office...The former president was detained for about eight months in the same hospital in a separate case involving alleged election rigging before she posted bail in July. She has also posted bail in another case related to a botched overpriced deal with a Chinese telecommunications company. The stories abound: from the corrupt official in Fujian who, in 2002, held the first (and only) annual competition to judge which of his 22 mistresses was most pleasing, to Liu Zhijun, the former railway minister deposed in 2011 for allegedly embezzling the equivalent of millions of dollars -- and maintaining a relatively modest 18 mistresses. The association is so strong, in fact, that it’s all but taken for granted in China that when an official falls due to his -- and it’s almost always a he -- misdeeds and miscalculations, the mistresses will be uncovered next. Signaling the start a long-awaited overhaul at Gazprom, President Vladimir Putin called for corruption to be eliminated at the state-controlled gas giant and said its business model should be improved. Gazprom has been criticized for years by minority investors who believe their lucrative shares could provide even bigger dividends through the elimination of inefficiencies and corruption at the company... "We hear claims more and more frequently about how the company's business is developing and how there's corruption there. There probably is," Putin said. A new report shows that some 2,400 millionaires received unemployment insurance benefits during the economic downturn, a number that has caught the attention of politicians who funded extensions of benefits for up to 99 weeks as the economy crumbled. In 2009, 2,362 millionaires received unemployment benefits, down from 2,840 the year prior, according to a study from the Congressional Research Service, a non-partisan arm of U.S. Congress that provides policy and legal analysis. Of the 2,362 more than 1,000 receiving unemployment benefits had a household adjusted gross income of $1.5 million in 2009. Vienna prosecutors brought their first charges against former top managers at Telekom Austria as part of multiple corruption probes that have damaged the company's image and may have cost it 20 million euros ($26 million). The prosecutor's office said it had charged three former Telekom Austria managers, one other ex-employee and a banker with price manipulation in relation to a share price surge in 2004 that triggered a payout of 9 million euros for managers...Prosecutors are investigating suspected corruption at Telekom Austria by a total of about 40 individuals. The companies listed are known to be the subject of an ongoing and unresolved FCPA-related investigation. The names are current through September 30, 2012. Most of the entries are based on disclosures in SEC filings or news reports or both. That means non-issuers (non-public companies) and issuers that have a pending investigation but haven't disclosed it, may not appear. FCPA-Palooza: "FCPA enforcement shows no signs of cooling"
A former fugitive suspected of running a $100 million cross-country scam collecting donations for Navy veterans has been identified as a Harvard-trained attorney wanted on unrelated fraud charges since 1987, authorities said. A former Credit Suisse executive facing extradition to the U.S. on fraud charges for his handling of mortgage-based securities during the financial crisis was freed on bail after an appearance Thursday before a British court. U.S. federal prosecutors have alleged that Kareem Serageldin conspired with two of his employees to hide the deteriorating condition of the U.S. housing market in 2007 in order to keep the value of bonds based on subprime mortgages artificially high, thereby fattening their bonuses. He was slated to receive more than $7 million in compensation in 2007 before the company learned about the alleged fraud and withheld $5.2 million of his pay. The fraud, which prosecutors described earlier this year as "a tale of greed run amok," was blamed for a portion of the $2.65 billion write-down Credit Suisse announced in March 2008. Church by exposing “evil and corruption” within it. Instead of trying high-ranking officials of the Catholic Church for financial and moral corruption, a Vatican court has put the Pope’s former butler on trial for disclosing information on corruption. Pope Benedict XVI's former butler Paolo Gabriele went on trial on Saturday in the Vatican for exposing financial and moral corruption within top brass of the Vatican...Many of the letters and other confidential documents that he allegedly took from the pontiff's desk were published in a book by an Italian journalist in May, which prove that the highest levels of Vatican officials are deeply involved in financial corruption and infighting over the power. Among other charges, Bo was accused of abusing his office, accepting bribes (directly as well as through family members), failing as a supervisor, promoting the wrong people and breaking an assortment of party rules...The accusations of bribery and corruption, for example, are allegations that could be similarly leveled at most top leaders and their families. By using it, party officials could appear to be more concerned about a full takedown of Bo than about potential blowback. The unusually heavy anti-corruption language sprinkled throughout the official announcement on Bo also suggests that officials are aware of swelling discontent with the government, and may be gearing up to tackle corruption as an main issue in the upcoming party congress. The bill was passed after a widely publicized scandal involving the General Services Administration’s lavish overspending on travel and conferences. Over the years, the Government Accountability Office and Inspectors General have identified many examples of fraudulent or illegal use of government charge cards, Lieberman pointed out. The GAO has documented fraudulent, questionable and overly expensive purchases made by federal workers with government purchase and travel cards, including kitchen appliances, jewelry, gambling, cruises, and even the tab at gentlemen’s clubs and legalized brothels. “Even at the General Services Administration, which administers the charge card program for the entire federal government, a high-ranking employee was able to rack up tens of thousands of dollars in personal expenditures on a government charge card,” Lieberman said in a statement. "This legislation would impose stricter controls on charge cards to help reduce waste, fraud and abuse. It’s a common-sense way to keep the government accountable for taxpayer dollars." The bill would require agencies to ensure that purchase and travel cards are used only for approved spending and to take action to prevent misuse of the cards. A National Anti-Corruption Commission...would replace the current Public Function Secretary, and have exclusive jurisdiction in corruption cases involving federal officials. It would also have broad powers to investigate allegations like those leveled against Wal-Mart (or Walmex) earlier this year. Running scientific experiments is, frankly, a pain...Sure, it's incredibly satisfying when days or weeks of hard work produce a clean-looking result that's easy to interpret. But often as not, experiments simply fail for no obvious reason. Even when they work, the results often leave you scratching your head, wondering "what in the world is that supposed to tell me?" The simplest solution to these problems is obvious: don't do experiments. (Also, don't go out into the field to collect data, which adds the hazards of injury, sunburn, and exotic disease to the mix.) Unfortunately, data has somehow managed to become the foundation of modern science—so you're going to need to get some from somewhere if you want a career. A few brave souls have figured out a way to liberate data from the tyranny of experimentation: they simply make it up. 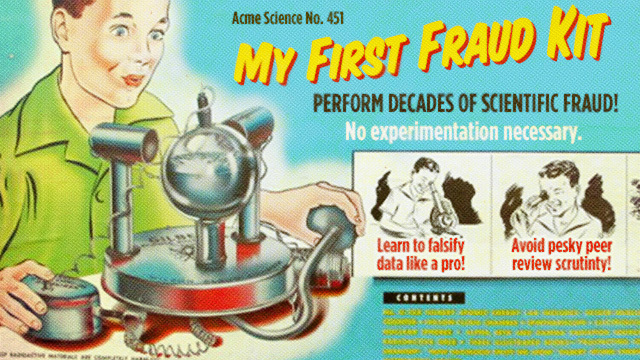 Fraud is one of the most serious concerns in science today. Every case of fraud undermines confidence amongst researchers and the public, threatens the careers of collaborators and students of the fraudster (who are usually entirely innocent), and can represent millions of dollars in wasted funds. And although it remains rare, there is concern that the problem may be getting worse. The leader of ruling Indian National Congress has been listed as world's fourth richest politician with a total wealth of over US$ 18 billion, which is invested in real estate, telecommunication and various business projects around the world, while significant portion of the amount is also deposited in secret bank accounts. Italian born Indian politician Sonia Gandhi alias Antonia Maino was already in the controversy centering one of the biggest bribe scandals in India - 3G Spectrum - wherefrom influential politicians looted billions of dollars through corruption and fraud. Business Insider has a short feature, "Meet The 23 Richest Politicians In The World", and Dr Manmohan Singh's boss, Ms Antonia Maino aka Sonia Gandhi is listed as the 4th richest with wealth estimated between US$ 2-19 billion...Sonia Gandhi's late husband and former Prime Minister of India, Rajeev Gandhi came into media's exposure, when he was caught into Bofor's kickback scandal, though Indian government tried its best to defend Rajeev Gandhi to be a "Mr. Clean" by tightly restricting access to official documents by the media. Nigeria’s largest airline Arik Air Ltd. halted all its domestic flights indefinitely Thursday as its leaders alleged government corruption made it impossible for the carrier to fly, after officials raided and disrupted its flights without explanation. Arik Air’s top executives told journalists that employees of the Federal Airports Authority of Nigeria raided its operations at Lagos’ Murtala Muhammed International Airport and gave those waiting on its flights nearby conflicting and disparaging information about the airline. The airport authority later denied its employees were involved, blaming the raid on unions upset over unpaid salaries. The main criteria for the list was to have been convicted or pleaded guilty to a graft-related offense and to have received a lengthy prison term for it. Private sector corruption appears to be on the rise in the Pacific Rim amid the global economic downturn, with countries in the region holding the worst reputation for bribery abroad, a U.N. expert said...companies in Indonesia, Mexico, China and Russia are the most likely to pay bribes when doing business overseas...a recent survey by Ernst & Young shows respondents indicating a 26 percent rise in private sector corruption in China and a 52 percent increase in Indonesia...Between 75 and 93 percent of corruption cases being prosecuted before courts in Hong Kong and Singapore also involve private sector employees...More than $1 trillion a year in illicit money leaves the developing world each year...a World Bank survey estimates that small and medium enterprises spend up to 33 percent and in some cases 49 percent of revenues on bribes. Around 90 percent of companies worldwide are SMEs and they pay around $100 billion in bribes each year...SMES, which are more vulnerable than bigger companies to corruption because of their size and limited resources and bargaining power. In their guilty pleas, the defendants admitted that...they participated in Romanian-based conspiracies...to hack into hundreds of U.S.-based computers to steal credit, debit and payment account numbers and associated data (collectively “payment card data”) that belonged to U.S. cardholders and then use the stolen payment card data to make unauthorized charges on, and/or transfers of funds from, those cardholders’ accounts (or alternatively to transfer the stolen payment card data to other co-conspirators who would do the same)...federal prosecutors noted that the conspiracies involved more than 146,000 compromised cards and more than $10 million in losses. European Union legislators have voted for a draft anti-corruption law, echoing rigorous U.S. rules to make oil, gas and mining firms declare payments they make in resource-rich nations. Pressure has mounted on the EU to take a tough line after the U.S. regulator in August set demanding rules for U.S.-listed firms. Tuesday's series of votes in the European Parliament backed detailed reporting to regulatory authorities starting from a minimum threshold of 80,000 euros ($105,100), almost identical to the $100,000 U.S. requirement and far lower than the million-dollar level some resource firms had said was practical. In contrast to the U.S. rules, the European Union is also proposing to include the forestry industry and banking, construction and telecommunication sectors on a less detailed level than for extractive industries. Guatemala's Constitutional Court decided recently that ex-president Alfonso Portillo could be extradited to the United States on charges of money laundering and embezzling $1.5 million of foreign donations...The current case against Portillo was filed by a federal court in New York, charging him for participating in money laundering and embezzling $1.5 million, an amount donated by Taiwan to help Guatemalan children with school supplies. More than 200 beneficiaries have been prosecuted in the region's courts over the past five years for scamming more than $4 million off the taxpayer..."Most cases the ministry investigates are around clients not being honest about their relationships and failing to tell us they're working whilst receiving the benefit,"
Former President Jimmy Carter issued a blistering indictment of the U.S. electoral process Tuesday, saying it is shot through with "financial corruption" that threatens American democracy. Speaking at the international human rights center that bears his name, Carter said "we have one of the worst election processes in the world right in the United States of America, and it's almost entirely because of the excessive influx of money." The 39th president lamented a recent U.S. Supreme Court decision that allows unlimited contributions to third-party groups that don't have to disclose their donors. The dynamic is fed, Carter said, by an income tax code that exacerbates the gap between the wealthiest Americans and the rest of the electorate, allowing the rich even greater influence over public discourse and electioneering. He added that he hopes the "Supreme Court will reverse that stupid ruling," referring to the case known as Citizens United. Mexico’s president elect, Enrique Peña Nieto, presented to senators from the Institutional Revolutionary Party (PRI) an initiative to “strengthen” transparency and accountability in Mexico. The law project, the first one Peña Nieto presents, is looking to “grant full constitutional autonomy to the Federal Institute of Access to Information (IFAI in Spanish),” and to extend the jurisdiction of the Legislative and Judicial branches to Mexico’s states and municipalities. The initiative proposes to increase the IFAI advisors from five to seven to face this institution’s new tasks; the institute has turned Mexico into an international reference in matters of transparency since it was created in 2002 during Vicente Fox’s term of office. Canada has begun revoking citizenship from 3,100 people that the government said obtained it fraudulently, the country's immigration minister said. Immigration Minister Jason Kenney said that in most of the fraud cases, applicants paid a representative to prove they were living in Canada to establish residency when they were, in fact, living abroad. Permanent residents must reside in Canada for three out of four consecutive years before applying for Canadian citizenship. To retain their status as permanent residents, they must live in Canada for two out of five years, with rare exceptions. The Kleptocracy Initiative acts as a sort of flip side of the Foreign Corrupt Practices Act and complements the Justice Department’s crackdown on global corruption, says Thaddeus McBride, a Washington, DC, partner at Sheppard Mullin. “For any bribe to occur, there have to be two sides,” he adds. “To date, the US has mostly pursued companies, but it’s the stated intention of the US Justice Department to target foreign officials as well.”...On June 28, Alamieyeseigha became the program’s first success story. Federal prosecutors assigned to the Initiative executed a forfeiture order on more than $400,000 the corrupt former official held at a brokerage account with Fidelity Investments, in Boston. Federal prosecutors charged Russell Wasendorf Sr., the former head of Peregrine, with 31 counts of deceiving regulators about the value of his customers’ accounts. If convicted, he would face a maximum prison sentence of 155 years...The charges against Mr. Wasendorf came just months after MF Global, the now-defunct futures brokerage firm, could not locate more than $1 billion in client money. Together, the two collapses highlighted regulatory holes and insufficient financial protections in the futures industry, which largely consists of money management firms that trade contracts in commodities, currencies and interest rates. Defence giant EADS has appointed accountants PricewaterhouseCoopers to conduct a parallel investigation to the Serious Fraud Office probe into bribery allegations at its subsidiary GPT Special Projects. The work by the accountants is expected to look at accounts and audits at GPT going back several years. Peregrine Financial Group founder and chief executive Russell Wasendorf Sr was indicted on charges of lying to regulators, a little over a month after he botched a suicide attempt and confessed to bilking customers of his brokerage for years. Wasendorf, 64, “overstated the value of PFG’s customer segregated funds by at least tens of millions of dollars”...Using little more than a post office box, laser printers and Photoshop software, Wasendorf Sr said in his confession that he forged and intercepted financial statements that were mailed between U.S. Bank, where some Peregrine customer money was held, and the firm’s auditors at the National Futures Association. Four politicians were arrested and three others were being sought in an anti-corruption sting in a Rio de Janeiro town, officials said Wednesday, describing it as an example of other operations that are under way. Among the seven arrested or sought were the mayor, the leading candidate for mayor and the head of the city council in Guapimirim, a working class town of about 52,000 people in the foothills of Rio de Janeiro's mountains. Authorities said 11 other suspects also were indicted in a scheme that investigators allege illegally siphoned off at least $24 million in public funds over four years. 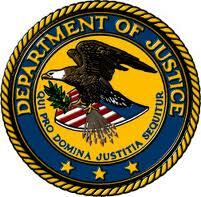 The charges include fraud, corruption and racketeering. The investigation is not an isolated case, prosecutor Antonio Campos Moreira said at a news conference. "We have a number of similar investigations looking into city halls," Moreira said. Early July saw multinational pharmaceutical company GlaxoSmithKline pay the largest healthcare fraud settlement in US history, in a case that highlighted the issue of fraud and corporate wrongdoing in the sector. The subject of fraud has grown in prominence in recent years, with regulators cracking down on activities including Goods Manufacturing Pricing violations, off-label marketing, and kick backs. In light of heightened scrutiny, healthcare companies are encouraged to re-evaluate their anti-fraud and corruption risk provisions, and consider their options in the event they come under the regulatory microscope. There is little doubt that fraud and corruption in the healthcare sector is an extensive problem, although estimates of the cost vary widely. Currently, the US government estimates that fraud against government-sponsored programs may, in 2012, reach as high as $102bn. Meanwhile, according to the FBI, government and private healthcare fraud combined costs the US economy approximately $250bn annually. Wang Guoqiang, who was party secretary of Fengcheng city in Liaoning province, left for the United States in April with his wife, the People's Daily said. Local officials said Mr Wang, who was being investigated for corruption, had been removed from his post,..Several reports cited 200m yuan ($31.5m; £20m) as the amount taken. The local officials did not elaborate on allegations that he had embezzled and transferred the funds to the US, where his family is believed to be. The award represents 30 percent of the amount collected in an SEC enforcement action against the perpetrators of the scheme, the maximum percentage payout allowed by the whistleblower law...The 2010 Dodd-Frank Act authorized the whistleblower program to reward individuals who offer high-quality original information that leads to an SEC enforcement action in which more than $1 million in sanctions is ordered. Awards can range from 10 percent to 30 percent of the money collected. The Act included enhanced anti-retaliation employment protections for whistleblowers and provisions to protect their identity. The incident is a stark reminder of how deeply drug-related corruption can run even in countries that have made progress in fighting the cocaine trade, as has been the case in Colombia. Cultivation of coca—the raw material for cocaine—has plunged in Colombia over the past decade. The Special Court on Wednesday sentenced former Home Minister and Nepali Congress leader Govinda Raj Joshi to one-and-half year jail term and penalty of Rs 21.6 million after convicting him of massive corruption while he held several important portfolios in the governments formed by the Nepali Congress in different years. Problems such as the misappropriation of funds have been found in some of the construction projects around the country that have been partly backed by foreign loans or donations. On June 18 the nation's top auditor, the National Audit Office, released the findings of its examination of the 2010 operations of 99 projects that had foreign backing of 34.5 billion yuan out of a total 424.6 billion yuan investment. The audited projects were in a range of sectors, including agricultural, energy, transportation, education, public health and urban construction. The foreign funds came from the World Bank, Asian Development Bank (ADB), the United Nations Development Program and other foreign institutions in the form of loans or donations. The rest of the funding had domestic sources. The National Audit Office said six projects had misappropriated or unused funding totaling 237 million yuan. Flaws in bidding, subcontracting, asset management and supervision were found in 18 projects involving 650 million yuan. Accounting flaws and overspending were detected in 20 projects involving 1.18 billion yuan. Inaccuracies were discovered in the financial books of 19 projects, and five projects had delays. The audit report said construction firms under the Ministry of Railway sold or transferred equipment and materials bought with 10 million yuan from the ADB. The items were intended for use on the line linking Taiyuan, Shanxi Province, and Zhongwei, in the Ningxia Hui Autonomous Region. In addition, false inspection and accounting problems related to equipment purchases and leasing, and sub-contracting were also found in the project. The issues involved 119 million yuan. The central government ordered a cleanup of the Taiyuan-Zhongwei project, which opened in January 20110, the report said. Total investment for the line was 3.21 billion yuan, including a 1.99 billion yuan loan from the ADB. In a project funded by the World Bank to improve energy efficiency, financing fraud involving 69 million yuan was uncovered, the report said. Three companies were accused of misappropriating 103 million yuan. Prosecutors charged Kikukawa, former executive vice-president Hisashi Mori and former auditor Hideo Yamada with inflating the company's net worth in financial statements for five fiscal years to March 2011. Japanese police and prosecutors have arrested seven men, including the former president of Olympus Corp and ex-bankers over a $1.7 billion accounting fraud -- one of the country's biggest corporate scandals. The scandal was exposed in October by chief executive Michael Woodford, who was sacked by the Olympus board after querying dubious deals later found to have been used to conceal the losses. Woodford campaigned to win his job back, but gave up that bid last month, blaming cozy ties between management and big Japanese shareholders and citing the strain on his family. America’s closest ally in Southeast Asia and a rising China now face a new source of potential friction over the alleged corrupt practices of a well-connected Chinese corporation. At the center of a case before the Philippine anti-graft tribunal is Zhongxing Telecommunications Equipment, or ZTE, a state-linked manufacturing giant that sells communications gear in more than 140 countries. The company is not on trial, but its alleged payment of tens of millions of dollars in kickbacks in connection with a 2007 contract has led to graft charges against former president Gloria Magacapal-Arroyo, her husband and two other former senior officials. All deny any wrongdoing. The criminal prosecution, which follows a lengthy investigation into ZTE’s business practices by the Philippine Senate, puts a spotlight on the role played by Chinese companies in extending China’s economic reach around the world but also in straining Beijing’s doctrine of noninterference in the affairs of other states. While insisting that it does not meddle in foreign lands, China keeps getting dragged deep into the affairs of other countries by the pursuit of profit by corporations controlled by or closely tied to the state...among those charged with graft is Benjamin Abalos Sr., the former head of the Election Commission. According to testimony during hearings by the Philippine Senate, Abalos took large kickbacks from ZTE in connection with a contract for the construction of a broadband network and fed some $30 million into the campaign coffers of Philippine politicians ahead of a 2007 election. In 2001, the nation was rocked by the collapse of Enron, a multibillion dollar corporation that employed thousands of people and had affiliations right up to and including The White House itself. Amid the financial chaos and destroyed lives and reputations the collapse left in its wake, questions arose concerning exactly how the catastrophe occurred, why it occurred, and who was involved...the scandal changed the lives of everyone in America, and elsewhere, in one way or another, for better or for worse. Perhaps just as importantly, it forced everyone to look at themselves and fully realize the consequences of reckless greed and the breakage of laws on a whim. What Really Went Wrong With Enron? A Culture of Evil? Beginning in 1999 and continuing through May 2002, WorldCom (under the direction of Scott Sullivan (CFO), David Myers (Controller) and Buford Yates (Director of General Accounting)) used shady accounting methods to mask its declining financial condition by falsely professing financial growth and profitability to increase the price of WorldCom's stock. The fraud was accomplished in two main ways. First, WorldCom's accounting department underreported 'line costs' (interconnection expenses with other telecommunication companies) by capitalizing these costs on the balance sheet rather than properly expensing them. Second, the company inflated revenues with bogus accounting entries from 'corporate unallocated revenue accounts'. He came from nothing and went to the top of the financial world. Bernard Ebbers took a small telephone company and turned it into a telecom giant. As the head of WorldCom, Ebbers was worth billions. The Aquasition, a 132-foot yacht and the largest privately-owned ranch on earth. Bernard Ebbers spared no expense when it came to himself. But the lavish lifestyle put WorldCom investor fortunes in jeopardy. The outlook for the telecom business turns stormy. 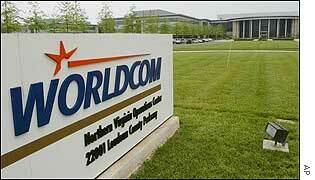 WorldCom stock tumbles. Ebbers is asked to resign. But the company hasn't hit rock bottom yet... an internal auditor makes a discovery that shocks Wall Street and the world! It’s been dubbed “Europe’s Enron” – the saga that has engulfed Italy’s milk-processing giant Parmalat and its senior executives, blue-chip European and American banks, accountancy firms, politicians and 130,000 hapless small shareholders following the discovery in 2003 of a $14bn black hole in its finances. The revelation triggered an eight year marathon of court cases in Europe and America, the disgrace of the Tanzi family that controlled Parmalat, at least one death, the collapse into administration of one of Europe’s most successful football clubs, and grave misgivings about the quality of governance in Italy’s boardrooms. And it’s still going on. Satyam Computer Services, a leading Indian outsourcing company that serves more than a third of the Fortune 500 companies, significantly inflated its earnings and assets for years, the chairman and co-founder said Wednesday, roiling Indian stock markets and throwing the industry into turmoil. Satyam serves as the back office for some of the largest banks, manufacturers, health care and media companies in the world, handling everything from computer systems to customer service. Clients have included General Electric, General Motors, Nestlé and the United States government. In some cases, Satyam is even responsible for clients’ finances and accounting. Former French president handed suspended two-year prison sentence over fake jobs conspiracy while he was mayor of Paris. Chirac, who led France from 1995 to 2007, was found guilty of diverting public funds and abuse of trust over two cases in which prosecutors said he had paid members of his former party for municipal jobs that did not exist. The cases dated from Chirac's time as mayor of Paris from 1977 and 1995 when he built the centre-right Gaullist party that launched his successful presidential bid. "Jacques Chirac has breached the duty of probity required for public officials, to the detriment of the public interest of Parisians," said tribunal judge, Dominique Pauthe...Chirac benefitted from legal immunity during his 12-year presidency and could have faced up to 10 years in prison over the charges. A U.S. Treasury inspector general report accuses the IRS of discouraging employees from reviewing applications for the ID numbers, which are generally from non-resident workers. g addresses that were used 1,000 or more times on applications, including 15,795 numbers assigned to a Phoenix address. Nomura CEO Kenichi Watanabe has resigned in the wake of an insider trading scandal that has tarnished the reputation of Japan Inc. and its biggest investment bank...Japan's financial regulators are investigating Nomura Securities for leaking information to clients ahead of planned securities offerings by energy company Inpex, Mizuho Financial Group and Tokyo Electric Power Co. in 2010...Nomura has admitted that some its employees were involved in leaking inside information. Eileen Foster was an investigator in charge of Fraud Risk Management at Countrywide when the ticking time bomb of its bad loans detonated. The practices she discovered shocked her and have also shocked those who've heard her story—including the producers of “60 Minutes,” who asked her on the program last December to discuss the lack of prosecutions of any of the bankers responsible for the crisis. But instead of cleaning house and admitting guilt, Bank of America—which purchased Countrywide as the financial crisis grew, in what the Wall Street Journal calls “one of the worst deals ever struck in corporate America”--drove Foster out and tried to discredit her findings. In 2011, the Department of Labor ruled that Foster had been illegally fired. It said that her firing was retaliation for her whistle-blowing and ordered that she be reinstated and paid compensation. There have still been no prosecutions, and no officials have asked to hear Foster's story—so she's taking it public. One in every 20 health care providers getting taxpayer money from Medicaid is delinquent on federal taxes, and in some cases the tax cheats are years behind in paying the Internal Revenue Service, according to an audit by congressional investigators. CNBC Video Producer's Notes By Jeanine Ibrahim, Producer, "American Greed"
Together, Beam and Scrushy eventually cofounded HealthSouth, a company based on Scrushy’s idea of taking rehabilitation services out of hospitals and into outpatient facilities. The idea proved to be brilliant. Things on the outside looked good, but HealthSouth wasn’t rock solid behind closed doors. Instead, a massive securities fraud was brewing – one that would ultimately exceed two billion dollars and turn Scrushy’s American dream into a nightmare. In the second quarter of 1996, Beam says HealthSouth’s growth had slowed and the company could not meet Wall Street’s expectations. Rather than report the truth, Beam says Scrushy ordered him to cook the books by generating false revenue. So the CFO did just that, and reported fake numbers to Wall Street. From that point forward, HealthSouth’s books would never be clean. Over the next five years, the fraud grew to 2.4 billion dollars and seemed to have no end in sight. But then, one man decided he had had enough. Former CFO Weston blew the whistle, and it all came crashing down...all five former CFOs claim Scrushy gave the orders to keep the fraud going. HealthSouth, the largest U.S. operator of rehabilitation-hospitals, is under investigation by the Securities and Exchange Commission and the Justice Department for allegedly overstating earnings by $2.5 billion since 1999. Fifteen HealthSouth employees, including all five former chief financial officers, have pleaded guilty to criminal charges. Former CEO Richard M. Scrushy has denied wrongdoing. It’s the classic rags to riches story. Richard Marin Scrushy is a brilliant businessman with the “golden touch.” The one time bricklayer turns billionaire after starting HealthSouth, a big provider of outpatient rehab services. Scrushy is the darling of Wall Street. Investors pour money into HealthSouth stock. American Greed follows the story of a man who turns the American dream into the American nightmare! Following years of appeals and a vocal campaign by supporters, ex-Alabama Gov. Don Siegelman is heading back to prison after being sentenced Friday to more than six years for bribery and other convictions. Siegelman and former HealthSouth chief Richard Scrushy were convicted in 2006. They arranged $500,000 in contributions to Siegelman’s campaign for a state lottery to fund education programs in exchange for the governor appointing Scrushy to an important hospital regulatory board. "If I had known I was coming close to the line where a campaign contribution becomes a bribe and a crime, I would have stopped,” Siegelman told U.S. District Judge Mark Fuller, who sentenced Siegelman to 6 1/2 years in prison...the debate over “the line where a campaign contribution becomes a bribe,” especially relevant in a year when campaign spending has become a paramount issue, shows no signs of fading away. The trial would have determined what, if any, damages were owed to Tyco. Kozlowski was convicted in 2005 and is serving a sentence of 8 1/3 to 25 years. He has already paid $97 million in restitution to Tyco and a $70 million fine. The company's civil case was strengthened by a December 2010 ruling in which U.S. District Judge Thomas Griesa said he agreed with Tyco on the general proposition that Kozlowski must forfeit compensation he received during his period of disloyalty. Jurors at Kozlowski's criminal trial heard evidence about his $6,000 gold-threaded shower curtain and a $2 million birthday party he threw for his wife on the Mediterranean island of Sardinia. Kozlowski and his co-defendant, Tyco's chief financial officer Mark Swartz, were accused at their criminal trial of giving themselves as much as $150 million in illegal bonuses and forgiving millions of dollars in loans to themselves while manipulating the security systems company's stock price by lying about the state of its finances. The letter was as bold as it was explosive. Signed by the South Sudanese president and sent out with a news release, it chastised its powerful recipients for collectively stealing $4 billion from the world's newest country, before it was even born. "We fought for freedom, justice and equality. Many of our friends died to achieve these objectives. Yet, once we got to power, we forgot what we fought for and began to enrich ourselves at the expense of our people," the letter read. At least 75 officials were served with copies, which offered amnesty for the partial return of funds. Since 2005, state officials and government contractors have stolen an estimated $4 billion from treasury coffers—an amount equivalent to 30 percent of the country’s annual economic output. In a particularly egregious example, the Ministry of Finance and Economic Planning squandered millions of dollars as grain contracts, meant to stave off an anticipated food shortage, were awarded to shell companies. Although not as problematic as the high-level graft, it’s also not uncommon for court officials and other bureaucrats to solicit petty bribes. Top 5 White Collar Crimes - criminals among the rich and elite, whom people don't tend to suspect. VIDEO: Is there a corruption crisis in Europe? Corruption is thought to cost the EU 120 billion euros a year in lost revenue and it has helped fuel the economic crisis that has spiralled some countries close to economic meltdown. Is corruption killing Europe? To discuss this worrying trend Isabelle Kumar is joined ‘On The Frontline’ by Michelle Coninsx,, President of Eurojust which aims to improve judicial co-operation between member states, and Cobus de Swardt, Managing Director of anti-corruption organisation Transparency International. Among the troubling array of problems uncovered during the inspections were independence conflicts and deficiencies with customer protection and net capital rules. In 13 of the 23 audits, the PCAOB inspections staff found that firms did not perform sufficient procedures to identify, assess and respond to the risks of material misstatement of the financial statements due to fraud. In 10 of the 23 audits, the inspections staff discovered that auditing firms did not perform sufficient procedures to identify the existence of related parties and material related-party transactions, or in instances where evidence of related parties existed, the auditors did not perform sufficient procedures regarding material related-party transactions. ...in the USA decisions are often taken with the help of bribes; money can get contracts, necessary permission from government agencies, and even the meeting with the president of the United States." In many of the Western democracies an unholy coalition has developed between a permanent government class and a permanent dependency class, which means today that the West cannot vote itself back to fiscal sanity. In a democratic age and in an era of big government, short-term and front-loaded policies are the order of the day. It is no accident that the most corrupt developed countries are Greece and Italy, with Spain, Portugal and France not far behind. All of these countries have had traditionally large bureaucracies and interventionist economic policies. Other European countries with big governments such as Germany and the Nordic countries have low levels of corruption, but then they also have very independent judiciaries, adequate pay for civil servants, functioning oversight, a free press and a vibrant civil society. American law: How non-US companies are affected - Does the US have a legitimate right to intervene in the behaviour of companies and individuals, or indeed of countries, operating beyond its own borders? "As long as dollars are involved, they will eventually touch a US institution," he says, referring to how almost all banking transactions, particularly in US dollars, will at some point in the process flow through the Federal Reserve Bank in New York. The courts have made clear over the years that such flows of funds through New York is sufficient for asserting jurisdiction. "Even if a transaction is done, say, in Japanese yen, if a blip in the system turns these into dollars - however briefly - that in theory could mean it falls under US law,"
Gathering Storm Against "Corporate Corruption"
A spectre of corruption is haunting the global campaign towards higher education internationalisation. An overseas degree is increasingly valuable, so it is not surprising that commercial ventures have found opportunities in the internationalisation landscape. New private actors have entered the sector, with the sole goal of making money. Some of them are less than honourable. Some universities look at internationalisation as a contribution to the financial ‘bottom line’, in an era of financial cutbacks. The rapidly expanding private higher education sector globally is largely for-profit...Countries whose academic systems suffer from elements of corruption are increasingly involved in international higher education – sending large numbers of students abroad, establishing relationships with overseas universities and other activities. In many of the Western democracies an unholy coalition has developed between a permanent government class and a permanent dependency class, which means today that the West cannot vote itself back to fiscal sanity. In a democratic age and in an era of big government, short-term and front-loaded policies are the order of the day. Corruption in China is often referred to as both the lubricant of the Party machine’s economic growth, but also a factor that may precipitate its demise, as ordinary citizens become increasingly incensed with an elite that functions like a kleptocracy, analysts say. Party media regularly make noise about the threat corruption poses to the regime, but while the problem stems from the regime itself, the Party has never allowed any genuine mechanisms of oversight outside its own control. China’s zero tolerance for corruption has helped it to replace Japan as the second largest economy of the world. The three most effective tools in China’s war on corruption are monitoring, transparency, and the most lethal deterrent to corruption – death penalty...there is no concept of mercy for those found guilty of corruption. Several officials of the director general rank have been given death penalty for corruption...In all, 2,300 cases of abuse of power have been decided since adoption of the anti-corruption initiative in 1997. Before WorldCom, Enron and Adelphia made headlines, the savings & loan crisis was at the top of the accounting scandal list, and long-ago schemes by Charles Ponzi and Ivar Kreuger, among others, wiped out millions of investors' dollars. “Creative accounting” is not a new technique, but it can certainly be a costly one. Businesses feel the pressure to appear profitable in order to attract investors and resources, but deceptive or fraudulent accounting practices often lead to drastic consequences. Are these so-called creative practices always illegal or can they ever be justified? This case study will present examples of companies who have used inappropriate accounting practices, the results of their deceptions and the government's plan to avoid future incidents. India has been rocked this year by a series of corruption scandals that have embarrassed the ruling Congress party, rattled markets and delayed reform bills as the opposition stalls parliament. The country, 87th in Transparency International's rankings based on perceived levels of corruption, is no stranger to scandals. Click on above headline for some of the biggest in the last two decades.